Please keep in mind these dates are just and early outline of our schedule. These dates can change to do registration numbers, weather cancellations and scheduling conflicts with other leagues. 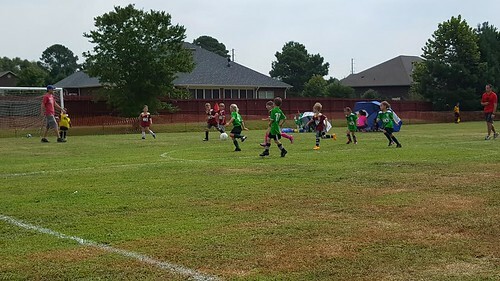 Archer Lodge community Center has teamed up with Johnston United Soccer Association (JUSA) to give your child an enjoyable soccer experience. 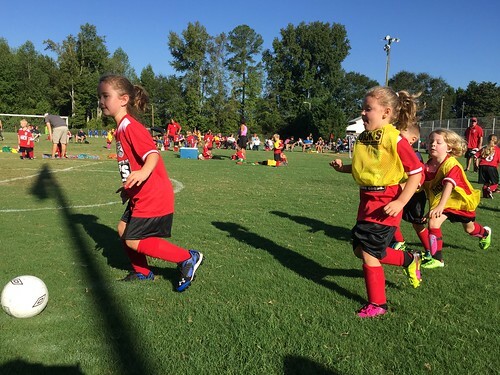 Johnston United Soccer Association (JUSA) is a member of the North Carolina Youth Soccer Association (NCYSA) and follows recommendations set forth by the United States Youth Soccer Association (USYSA). JUSA strives to provide the local community with a positive recreation soccer experience for children from ages 4 through 17. 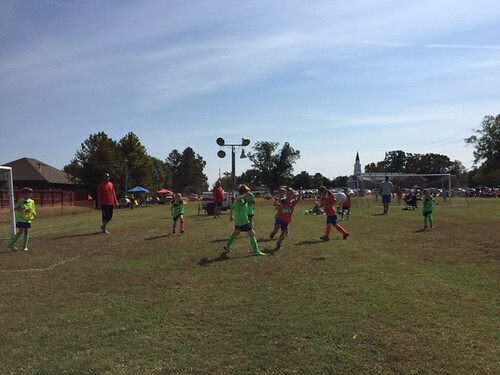 Recreation Soccer is the foundation for any community soccer program and lays the groundwork for teaching children the fundamentals of the game. The importance of recreation soccer for early development cannot be understated. We are not focused on wins vs. losses, rather we place emphasis on player development. We value all players, regardless of their skill level. JUSA follows NCYSA guidelines when determining age group placement for players and uses birth year as the cutoff date. Please refer to the Age Table for actual birth date ranges and age groups for the current soccer season. Exceptions can be made for players to play up to the next older age group, but players are prohibited from playing in a younger age group. 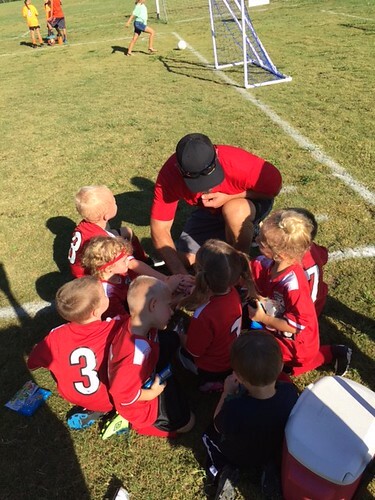 If you wish for your child to play in an older age group, please contact the Director of Recreation by clicking here. All coaches at the Recreation level of play are volunteers, and most are parents of players...just like you. 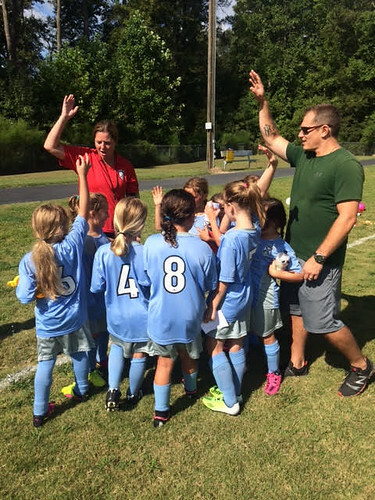 These coaches teach age appropriate skills with the heaviest emphasis placed on fun, sportsmanship, and healthy competition. Persons interested in coaching should contact the Director of Recreation at by clicking here. Each player is charged a jersey fee in the fall. If your player decides to play spring soccer you can reuse your fall jerseys and not pay the jersey fee. Players also need to bring water, shin guards (required), soccer ball, and cleats (please no baseball or football cleats) to each session. Player is required to purchase soccer shorts and soccer/ athletic socks for games. Our focus is not on wins vs. losses, rather we place emphasis on player development. 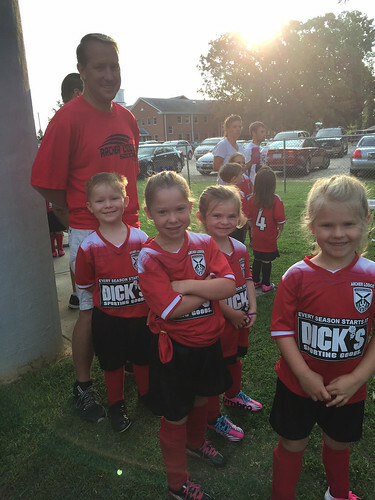 Therefore, we implement what we refer to as the Player Development Program (PDP) for our U5-U6 age groups. Modeled after US Youth Soccer’s Academy Program, JUSA first implemented this format with their U5 and U6 programs in the spring of 2012 with great success. Archer Lodge started to implement this same program starting in Spring 2016 and will now fully implement this program. Instead of each coach being assigned a few players and the age group divided into smaller, season long teams, all players of each age group receive the same color jersey and are considered to be part of one larger team. Each skills session is a pool practice where there are several skills stations. A certified age group coordinator organizes developmentally appropriate activities for each session. At the beginning of each session, players are divided up into small groups of 6-10. Two or so coaches are at each station as each player group rotates through each area. At the end of the session, every player will have had time at every station and with every coach. Essentially, every player has 8 to 10 coaches. Each coach’s strengths offset the other coaches’ weaknesses, resulting in a well-rounded experience for every player. At the end of the skill session, players will have a short break, and then participate in a small-sided game. For the first couple of games, players are divided up randomly into appropriate sized groups. Each group will be split in half using colored pinnies, and play an actual game, going to goal. Eventually, players will be rated by skill level and divided into groups of like ability. Competing against players of like ability creates appropriate resistance, increases touches on the ball, and allows each player the opportunity to apply skills learned in a live game situation. Because players develop at different rates, they are continually assessed weekly throughout the season, and adjustments are made to group assignments as individual skill levels change. Goalkeepers must be field players first. Prior to specializing as goalkeepers, children must learn the broad parameters of "play". This is difficult to do when they hide beneath the crossbar and between the posts. Goalkeepers must possess field-playing skill. This is particularly true since the laws governing the 11-a-side game have been changed to prohibit the goalkeeper from using handling skills to receive balls passed by teammates. Psychological maturity is necessary in order to function as a goalkeeper. The peripheral vision and hand eye coordination at these ages are usually not developed to the point necessary to effectively play goalkeeper. "When to begin as a goalkeeper is a question asked by many coaches. The authors [Dr. Thomas Fleck, Dr. Ronald W. Quinn, Dr. David Carr, William Buren, Virgil Stringfield] believe that initiating goalkeeping in games prior to age nine is inappropriate. Children should be exposed to body movements that simulate what goalkeepers do, but to put them under the pressure of being a goalkeeper before they have developed some basic psychomotor and cognitive skills is inappropriate." This age group is certainly capable of taking a throw-in. What they’re not comfortable with yet is playing the ball out of the air. Also, the more the feet touch the ball the better. 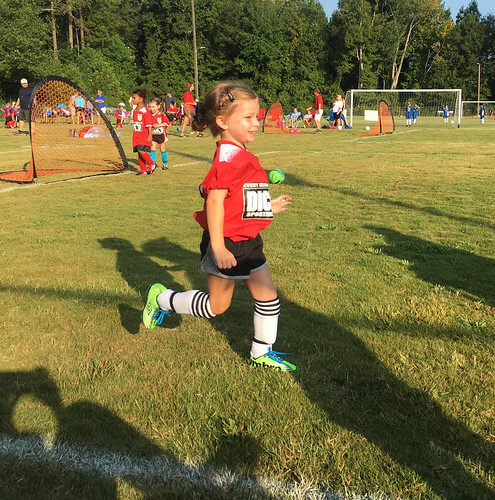 JUSA follows the United States Youth Soccer Association’s recommendations for developmentally appropriate activities. The below information regarding age groups is taken from “The Official US Youth Soccer Coaching Manual.” The entire manual can be viewed by Clicking Here. The focus of U5-U6 is mainly on individual ball control. In this “My ball” stage of development, there is typically very little passing. The vast majority of activities will involve each player with his/her own ball. Our goal in this league is for all of the players to become skilled ball handlers, with emphasis primarily on the use of the proper part of the foot, and to learn a bit about being aggressive on the field and going after the ball when others have it. Players will also learn how to dribble the ball closely. Sessions are co-ed. Teams will play 3v3, without a goalie, on a field size of about 30 yards x 25 yards with small goals. 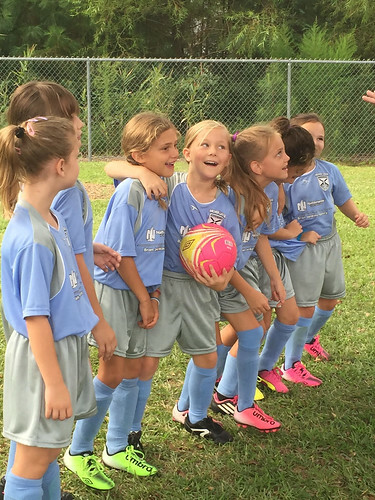 In this format, U8 players are assigned to a team and a coach for the duration of the season. Typically, there will be one training session a week with that team’s coach, and perhaps an assistant coach. Games are played on the weekend against other ALJUSA teams of matching age. This is the age where players can begin to understand the concept of working with a teammate. The notion, or willingness, to intentionally pass the ball to someone is just beginning to take hold. In the U6 year old age group, efforts from coaches and parents to encourage the player to pass the ball usually fail. Coaches and parents will have more success encouraging players to pass the ball in the seven to eight year old age group. 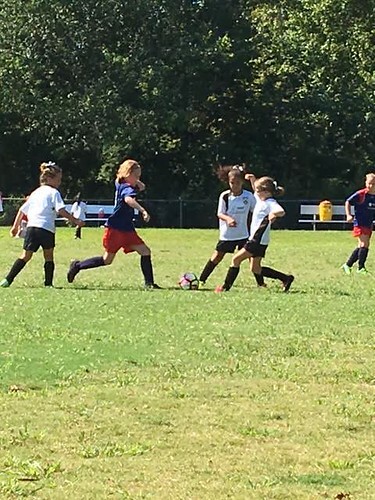 In this age group, the players begin to think beyond their personal needs and actively look to pass to a teammate. In many cases they will pass to their best friend and not necessarily the player in the best posi­tion to receive the ball. Players are now involved in cooperative decision making. However, this does not mean that players should no longer do activities that require individual ball work. Even professional players work individually with a ball! We do not abandon activities used in earlier developmental stages. Players will develop concepts of passing and receiving, and individual ball skills such as the pullback, stop-n-go, the “L”, and scissors. Also, the players should become more aggressive on the field and really start attacking the ball to gain possession.Position play is introduced and players begin to comprehend the complexities of working in groups of 3-6. Teams at this age are coed. Roster size is 8 -10; when possible we try to make the teams smaller to ensure more playing time for each player. Teams will play 4V4 with no goalie on a field size of about 35 yards x 30 yards. In this format, U9 players and above are assigned to a team and a coach for the duration of the season. Typically, there will be one training session a week with that team’s coach, and perhaps an assistant coach. 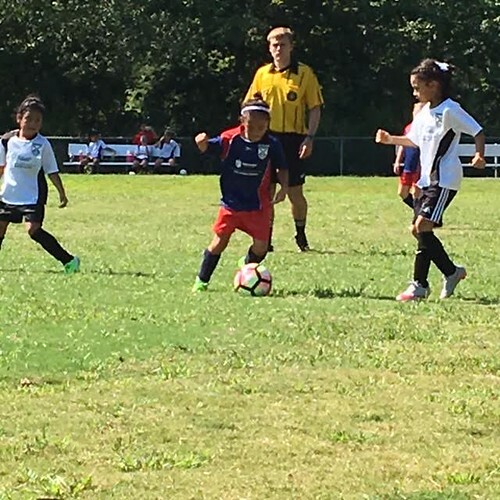 Games are played on the weekend against other JUSA teams of matching age and gender, as well as with teams from the Carolina Recreation Alliance (CRA). Children at this age are typically enrolled in grades 4 and 5 and may have been playing soccer for half of their lifetime. 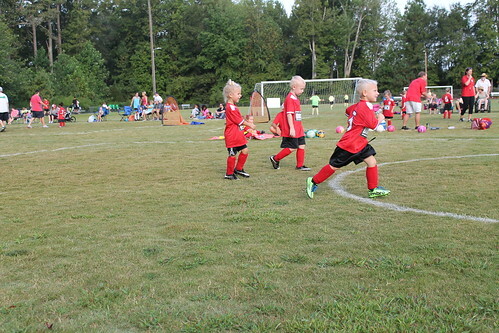 Some children, however, choose to begin playing soccer at this age. Both boys and girls are beginning to demonstrate an improved ability and a mastery of some aspects of basic locomotor, nonlocomotor, and manipulative skills. They have also begun to develop basic technical abilities to play soccer and their cognitive understanding of tactics and strategies is evolving. They are beginning to demonstrate an ability to think in advance of the ball (anticipation). Position play becomes even more important, and players begin to comprehend the complexities of working in groups of 3-6. Teams at this age are usually separated by gender. Roster size is 10 – 14; when possible we try to make the teams smaller to ensure more playing time for each player. If we do not have a sufficient number of teams then some games may require short travel to play teams in other parts of Johnston and southern Wake County. Games are played 7 V 7(6 field players and 1 goalie), on a field size of about 60 yards x 45 yards, with goals 18 feet x 6 feet. Our focus is still on player development, sportsmanship, and teamwork. The concepts of competition and sportsmanship are introduced at this age, however scores and official standings are not kept. Each game will have a non-partial paid referee. Teams will remain intact from Fall to Spring unless balancing needs to take place at the discretion of the Recreation Director. The U-12 player demonstrates a greater degree of analytical thought, which enhances tactical understanding. Still, their performance during match play may be inconsistent. Much of their training should consist of small-sided games with various playing or field conditions placed upon the players. Teams at this age are usually separated by gender. Roster size is 11 – 16; when possible we try to make the teams smaller to ensure more playing time for each player. If we do not have a sufficient number of teams then some games may require short travel to play teams in other parts of Johnston and southern Wake County. Games are played 9 v 9 (8 field players and 1 goalie), on a field size of about 80 yards x 55 yards, with goals 18 feet x 6 feet. Our focus is still on player development, sportsmanship, and teamwork. We continue with our introduction of healthy competition; however, scores and official standings are not kept. Each game will have non-partial paid referee crew. Teams will remain intact from Fall to Spring unless balancing needs to take place at the discretion of the Recreation Director. These leagues are only opened when enough players register. This division continues to help improve the conditioning, positioning and skill of the players. These age groups are for the high school age player who wants to continue in recreational soccer for the social and fitness benefits. Normally, each team will have a roster size of 14 – 17 players. Teams normally play 11v11, including a goalie, on a field of 100x50 yds minimum up to 130x100 yds maximum. Goal size is 24x8 feet. Some games require short travel to play teams in other parts of Johnston and southern Wake County. Each game will have a non-partial paid referee crew. JUSA follows the United States Youth Soccer Association’s recommendations for the use of small sided games (SSG) for U12 and below. The importance of this format of play in youth soccer development is evidenced in a study conducted by the German Football Association, in conjunction with Sports University of Cologne on 6-10 years old. Results of this study in their entirety can be viewed by clicking here. More opportunities to play the ball. The fewer players on the field, the more possible times a player will come in contact with the ball. In fact, players will find they have no choice; the ball will quickly find them! More opportunities to score. Many players in an 11v11 game are not inclined to seek the goal, because they are so far away or because of defensive restraints. More opportunities to scheme. As we play we must constantly change and adapt to our surroundings. This challenge is the basis for tactics. How do we solve the puzzle? More opportunities to coach. The small-sided game allows coaches a perfect opportunity to observe and analyze the individual and collective responses of players under quick game-like conditions. Are players comfortable with the ball? Are they confident in defense? How well do they adapt to the unexpect­ed? Do they recognize goal-scoring opportunities? 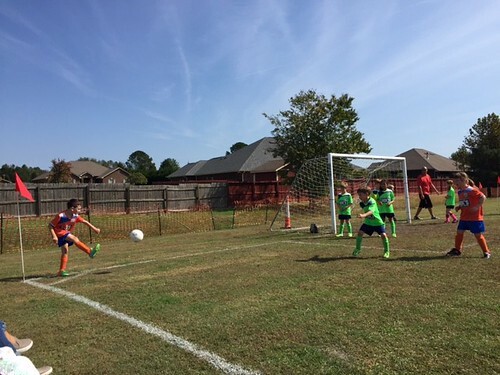 JUSA’s Recreation Soccer Program’s goal is to provide a healthy and safe environment for soccer play that is to emphasize FUN and de-emphasize winning at all costs. 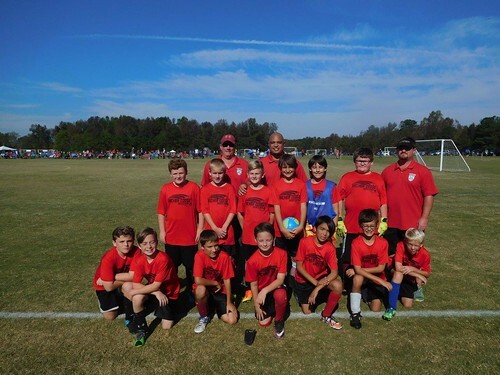 Our mission is to foster the growth and development of amateur youth soccer by establishing programs and activities that focus on the development, promotion, teaching, and administration of the game among youth in Johnston County, and to instill the ideals of excellent moral character and good sportsmanship. Integrated in this is the building of self-esteem, self-confidence, teamwork, respect for self and others, and all the inherent benefits of physical exercise. Our stated goal will be to make it - " The Game for Kids."